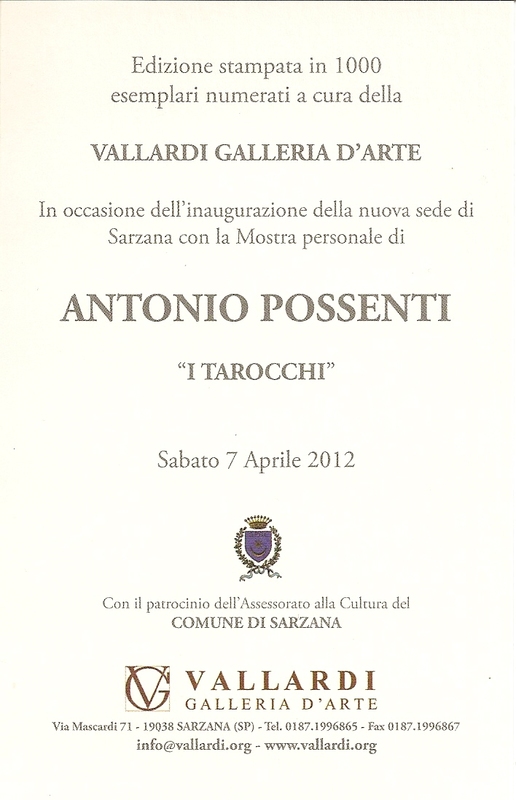 Antonio Possenti, an important Italian surrealist, was born in Lucca January 11, 1933, lives there today and earns a living as a political cartoonist. 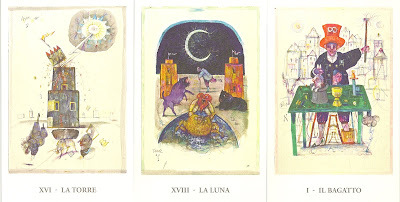 His tarot deck features a series of coloured drawings from an exhibition at the Vallardi Galleria d'Art in Sarzana in North West Italy in April 2012. 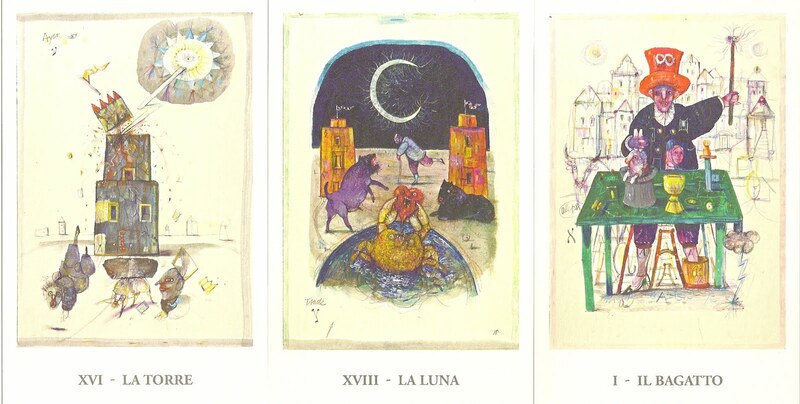 The Major Arcana are numbered with Hebrew letters. The artwork is oil and mixed media on cardboard. The edition is limited 1000 my copy is numbered 358.